There are no comments for Huey - 1. Click here to post the first comment. 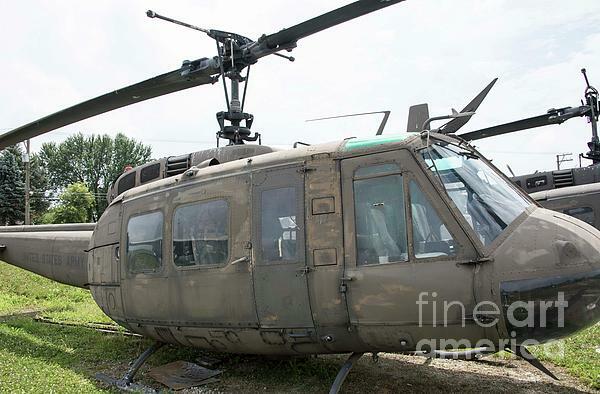 The HU-1A (later redesignated UH-1A) first entered service with the 101st Airborne Division at Fort Campbell, Kentucky, the 82nd Airborne Division, and the 57th Medical Detachment. 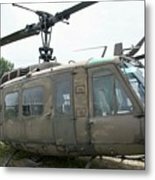 Although intended for evaluation only, the Army quickly pressed the new helicopter into operational service, and Hueys with the 57th Medical Detachment arrived in Vietnam in March 1962 The UH-1 has long been a symbol of US involvement in Southeast Asia in general and Vietnam in particular, and as a result of that conflict, has become one of the world's most recognized helicopters. In Vietnam primary missions included general support, air assault, cargo transport, aeromedical evacuation, search and rescue, electronic warfare, and later, ground attack. During the conflict, the craft was upgraded, notably to a larger version based on the Model 205. 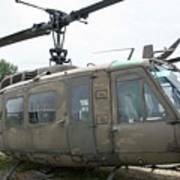 This version was initially designated the UH-1D and flew operationally from 1963.